It’s officially summer and that means weddings. Which means a lot of work. If the influx of tiny veils and personalized party favors has reminded you that you have your own special day to plan for, let Google help you out with that with Google Weddings. Google Weddings is mostly just a collection of the preexisting apps but now with tips on how to optimize your wedding planning. There’s a lot of details that go into planning and executing a full wedding and Google has pretty much everything you need to get through it. The site just breaks down the planning steps and the correct apps to use to make it a bit easier by integrating things like Hangouts and Calendar into the mix. It does have a few specialized items to help. 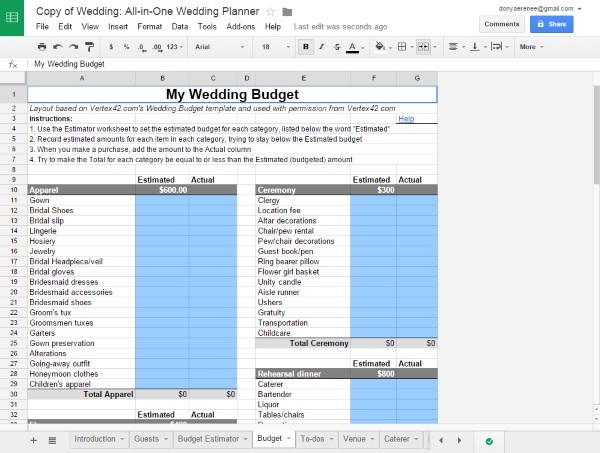 They threw in some wedding themed templates to help build a website and also a spreadsheet for the budget and other things. Weddings are super expensive. 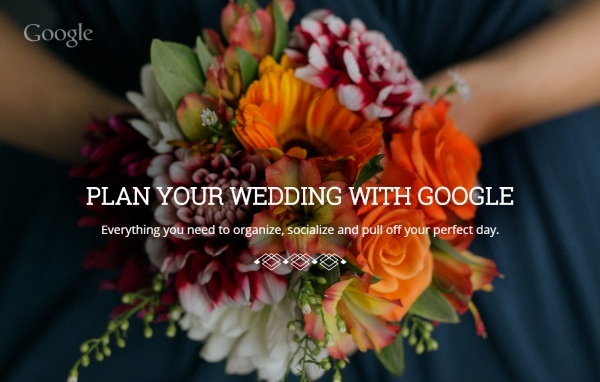 If you’re not great with planning and the idea of putting together your special day gives you anxiety, Google is here to help and bonus, it’s free and chances are you’re already using at least some of it.